A few days ago, one of the biggest announcements made at Gamescom 2018 was the release of A Hat in Time for Nintendo Switch. 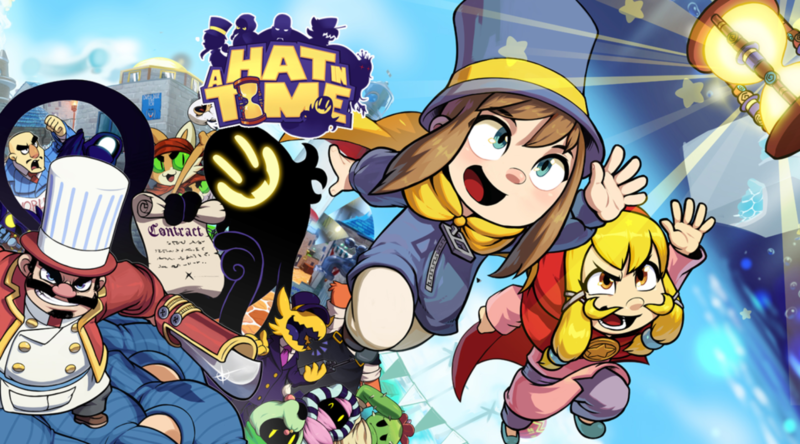 This was a major surprise to many as A Hat in Time developers have been insistent that the game wouldn’t come to the Switch. In a new interview by GoNintendo, Gears for Breakfast’s Jonas Kærlev revealed that as A Hat in Time was running on an old engine, the development team believed it wouldn’t work on Nintendo Switch. GoNintendo: Did you guys truly believe it would be impossible to bring the game over to Switch? Jonas Kærlev: Yes – and we still can’t believe it! The fact that it happened is a miracle. A Hat in Time is running on a really old engine that can’t be updated easily. The engine was never really designed for newer console generations, and it took an incredible amount of effort to get it running on modern hardware! GoNintendo: What made you decide to give it a shot? Jonas Kærlev: During A Hat in Time’s development, we had toyed around with a Nintendo Switch release but concluded that it would be exceptionally tough, way beyond the scope of a small indie team like ourselves. The game and its engine just wasn’t designed for the hardware – we had given up hope! Luckily, we were able to get a lot of help and advice from other developers – without their help, we wouldn’t have been able to make it at all!